Andrew Ganz March 7, 2018 Comment Now! 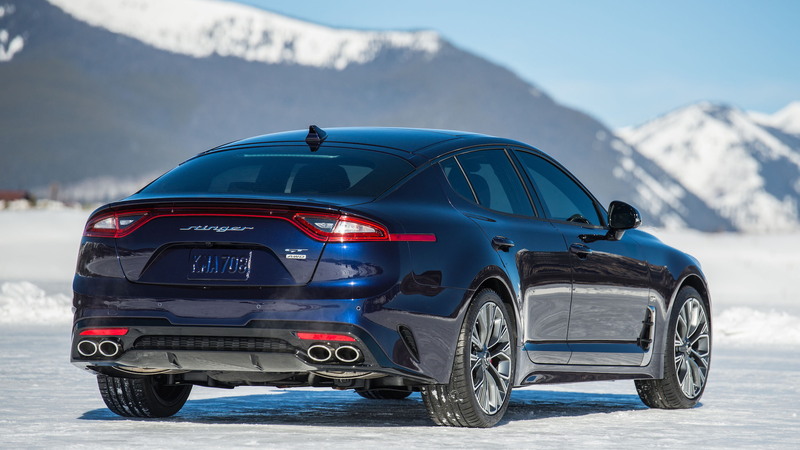 The 2019 Kia Stinger GT Atlantica pushes the luxury sport hatchback a bit further upscale. 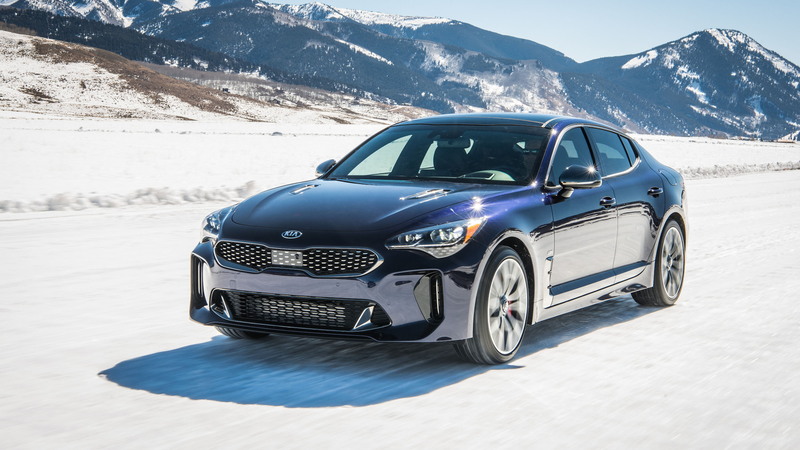 Ahead the Stinger's sophomore year, Kia unveiled Tuesday in Colorado a limited edition package that dons the five-door hatchback with a special blue exterior paint shade and a coffee-colored interior. 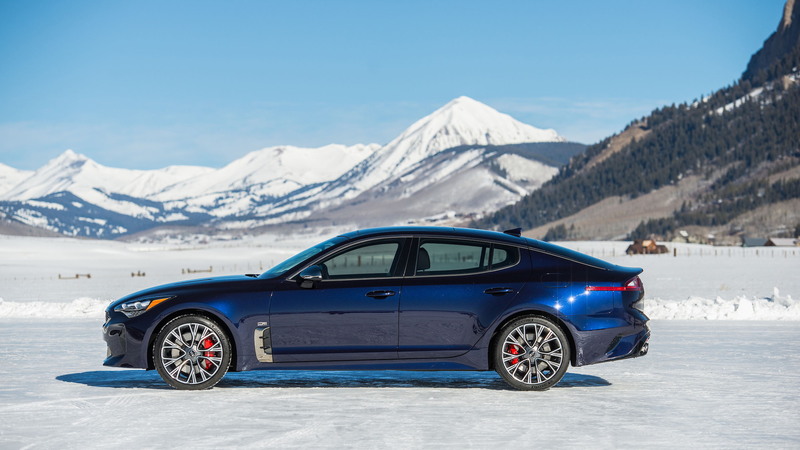 Just 500 examples of the 2019 Stinger Atlantica will be built, each swathed in a unique Deep Chroma Blue exterior and an espresso brown nappa leather interior. Other Atlantica exclusives include a surround-view monitor, a suede-like headliner, a wireless charging pad, and a special 19-inch wheel design. Each of the 500 examples will have exterior and interior badges that declare that they're 1 of 500—although they won't be individually numbered. The Atlantica will also stand out for the extra-large "Stinger" badge adorning its tail end. 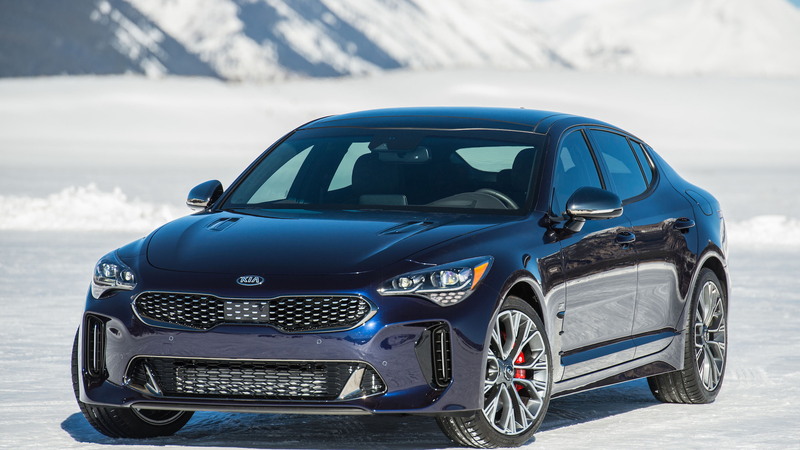 Kia says that the Stinger's badge comes from the Korean-market version of the sporty sedan. The Stinger Atlantica will be available only with the Stinger GT's 3.3-liter twin-turbo V-6, all-wheel drive, and the GT2 trim package. A Kia spokesman wouldn't confirm any other changes for the 2019 model year. 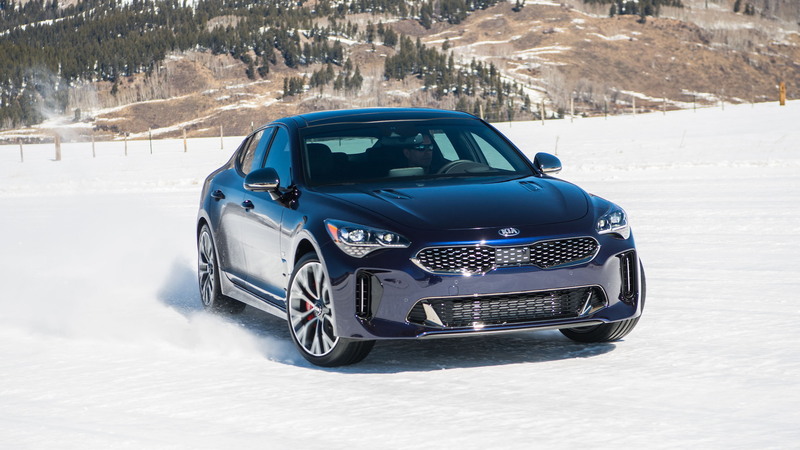 Pricing for the 2019 Stinger lineup hasn't been announced, but the spokesman estimated a $1,000 premium over the range-topping Stinger GT2 for the Atlantica limited edition. That should put it at around $53,000 when it goes on sale late this summer.